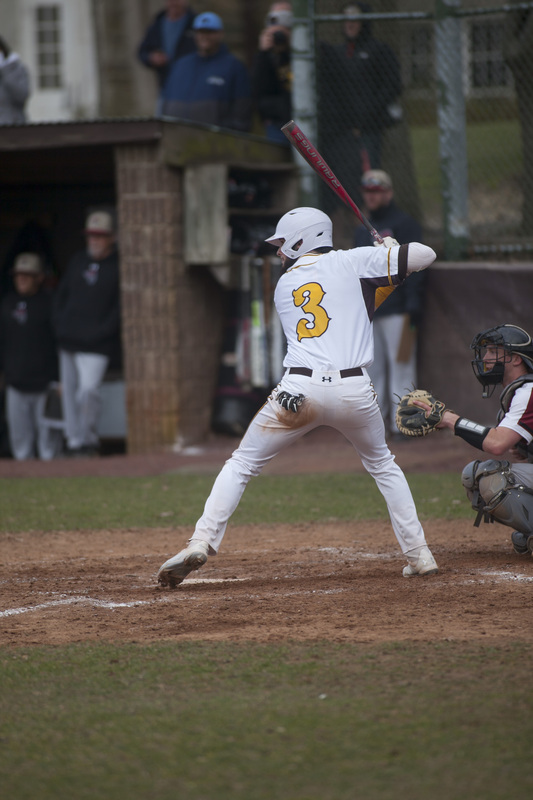 It took 15 games, but the Rowan baseball team’s schedule finally allowed them to play a conference team as they traveled to Mahwah, New Jersey to take on Ramapo College for a doubleheader last Saturday afternoon. 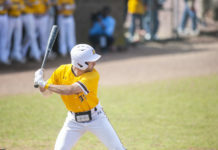 Despite losing the first game of their doubleheader and ending their 11-game winning streak, the Profs pulled out a victory in the second game with the Roadrunners. Ramapo is now 14-7. 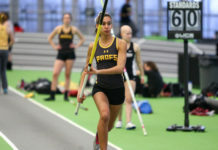 Meanwhile, Rowan is 15-2 and sitting near the top of the New Jersey Athletic Conference (NJAC) standings. While TCNJ, Montclair and Rutgers-Camden are all 2-0 in the NJAC, Rowan still has the best overall winning percentage (.882). In the first game on Saturday, Rowan’s hot offense finally was shut down, only scoring two runs and losing 6-2. Third baseman Justin Provost was the only batter with multiple bases, as he went 1-2 with a walk. The Profs only had five hits. Danny Serreino had a solid game, going six and 2/3 innings and allowing only two runs and striking out nine batters. Despite the strikeouts, he had some command issues, walking three batters and hitting two by pitch. Serreino had 109 pitches on the day and was pulled for senior Jordan Friedman. Even though he only allowed two runs, Serreino was still charged with the loss. Head coach Mike Dickson noted how good Serreino can be and why he’s trusted him to be his number one starter for the year. Serreino’s 2-1 with a 2.01 ERA and has averaged seven strikeouts per-game. Ramapo’s starter Cory Heitler was stellar, as he punched out 12 Profs and only allowing two runs in a complete game. In the second game, Rowan’s offense put together a last-ditch effort and came through for a come-from-behind 5-3 win. Four out of their five runs were in the seventh inning or later, three of which occurred in the eighth. 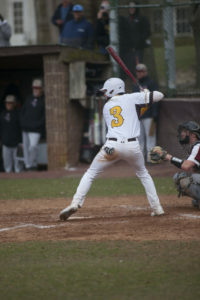 The lineup didn’t have the brightest of days, but they did enough to hold off Ramapo and preserve the lead, drawing five walks and steeling two bases. Pitcher Andrew DiPiazza allowed only one run in seven innings and struck out seven. He’s still undefeated on the year, 3-0, with an eye-opening 0.78 ERA. Next, Rowan will travel to fellow-rival Stockton for an afternoon game on Thursday. First pitch is 3:30 p.m. Rowan’s next four opponents are versus conference teams, meanwhile their next home game will be Friday versus Stockton. 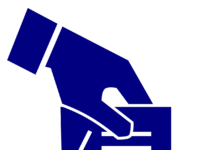 Next articleDoes Central Jersey exist?